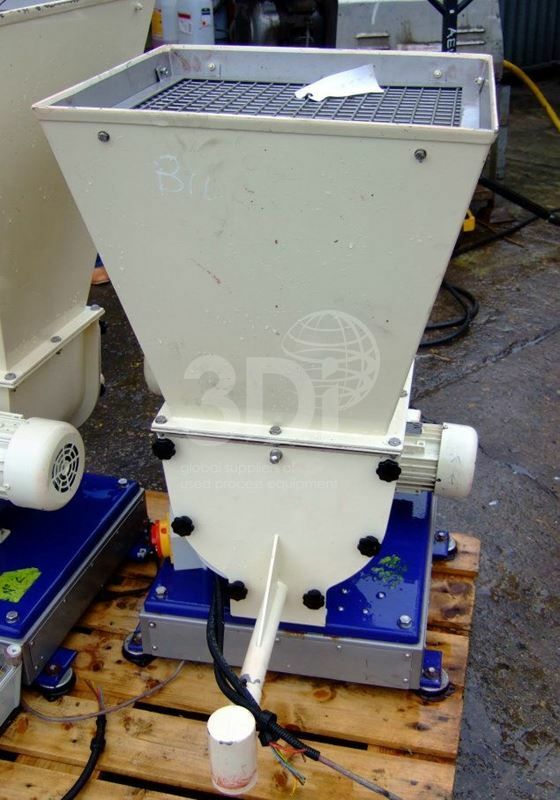 Unused Loss In Weight Scew Feeder with hopper, manufactured by Rospen Industries Ltd, 2002, type BW-L-ON-7754, serial No. 2646. Material of construction 304 Stainless Steel. 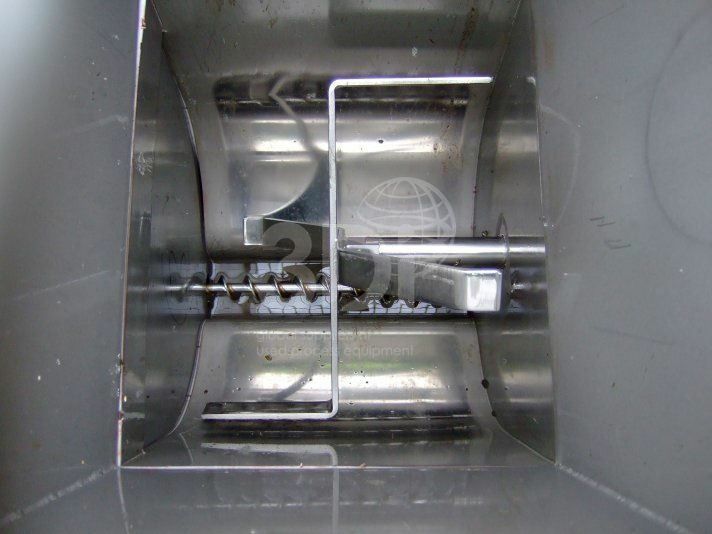 25mm diameter outlet, (1) 25mm diameter x 520mm Long screw driven by a 2 speed motor, 0.37kw (3/50/400), 2730rpm or 0.39kw (3/60/460), 3330rpm, packed gland, (1) product conditioner/mixer, driven by 2-speed motor, 0.37kw (3/50/400), 2730rpm or 0.39kw (3/60/460), 3330rpm, packed gland, unit mounted on weigh cell, 90-100kg hopper bolted on to the top of the main chamber. 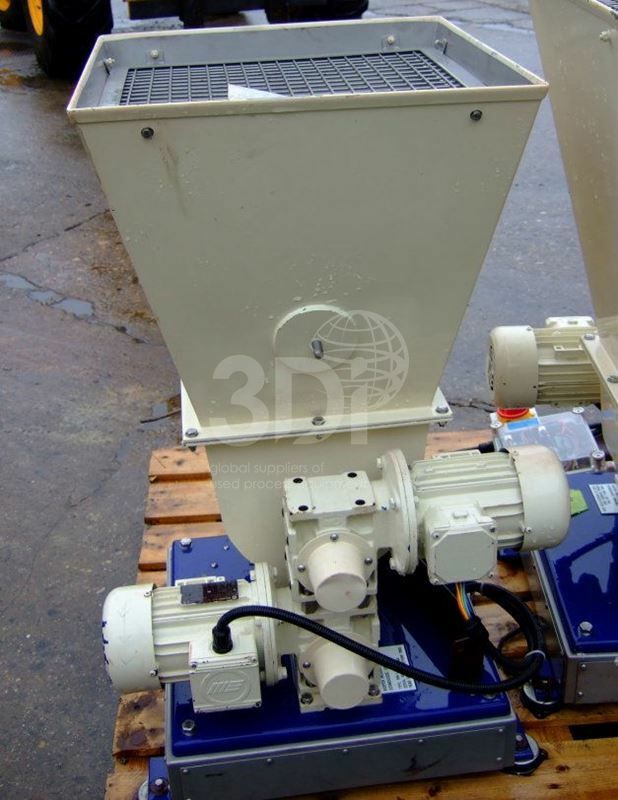 The loss in weight feeder is designed to weigh and control the output of variable products continuously to weigh accuracies of +/- 0.25% to +/- 1%. There are no control panels with these feeders.